Are you keen to see and taste another side of island life and savour its delights? Looking for a gift experience which will leave you with fond memories? Maybe you'd simply like to enhance your food and drink knowledge and soak up a day of treats. We offer two tours with different themes, or if you'd like to discuss your own bespoke day then please get in touch. There's no rushing on our Spirit Of Orkney Tour - it's all about tasting the quality of Highland Park, Deerness Distillery and Orkney Wine, and savouring hamper treats made by Humes smokehouse and JP Orkney. These skilful local producers will tell their story right where their products are made, and share their top foodie tips of the islands. Access to the distilleries, lunch, samples and a gift bag are included in your tour price. 1pm: After a delicious lunch we'll drive you to the Deerness Distillery - a gem on the East Mainland coast, designed and constructed by Stuart and Adelle Brown. The entire production process is carried out in the distillery by hand - from the creation and distilling, to bottling and labelling, ensuring that Deerness Distillery spirits and liqueurs are truly hand-crafted. You will hear Stuart’s passion for his trade, sample the range of spirits they distil next to the production line itself. Ask Stuart about his logo inspiration and just how important Waltzing Matilda is! 2.15pm: Next we're off to the Orkney Wine Company, where owner and producer Emile Van Schayk will share how an evening with a neighbour sparked a passionate hobby and subsequent business. Using a blend of Orkney-grown and naturally-sourced ingredients, they ensure only the finest fruit goes into their wine. ‘Made @ 58.8º North’ you can sample wines and liqueurs which promise to be sulphur free and vegan friendly. J.Gow Rum is also produced on Lamb Holm using a blend of worldly spices including two grown in Orkney. You’ll get to savour the subtle citrus and cinnamon notes with a slight hint of vanilla and warming spice, metres away from the beach and Churchill Barriers. 3.30pm: Our tour's final treat is the Highland Park Distillery. Highland Park whisky is made just as it was in 1798, using five keystones of production: aromatic peat, hand-turned floor maltings, sherry oak casks, cool maturation and cask harmonisation. As you’re shown around the distillery look out for the amazing copper stills and take in the warming smells. As part of the visit you’ll be embraced onto a select Viking Hero Tour, whereby your senses can compare three different drams. Your third dram can be taken away to savour in private alongside JP Orkney's traditional Orcadian treats. You’ll also receive a £2 voucher which can be redeemed against a 70cl bottle of whisky in the shop. 5.15pm: We'll return you to Helgi's, concluding our tour. Our Hop Around Tours will showcase Orkney's great breweries. We're busy putting together a fantastic experience and aim to have this great day available for you in 2019. Alternatively, should you be keen to visit an Orkney brewery and would like us to help, please email us and we can create a bespoke day for you. Throughout the year we do have available dates when we can work with you to create your own choice of food and drink tour. You may want to visit both Scapa and Highland Park, taking their more exclusive tours where you can taste a number of aged drams. 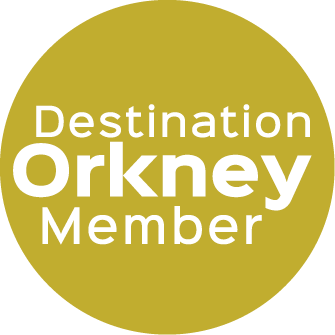 Maybe you’d like to meet the Orkney Buffalo on Stronsay, taste Westray Wife Cheese on Westray or watch a live cattle auction at the Orkney Auction Mart. Should we go west on the Mainland you can tour Barony Mill where Orkney's ancient grain bere is milled, and visit Corrigall Farm Museum, a traditional 'but and ben.' Please email us to check availability.